Other billing items can also be added under extras such as visitor’s tax, bed levy, culture tax or eco-tax, which may be imposed by the local authorities via the lodging provider. Furthermore, negative billing items can also be added here such as discounts and credits which you can then easily book from within the booking window. 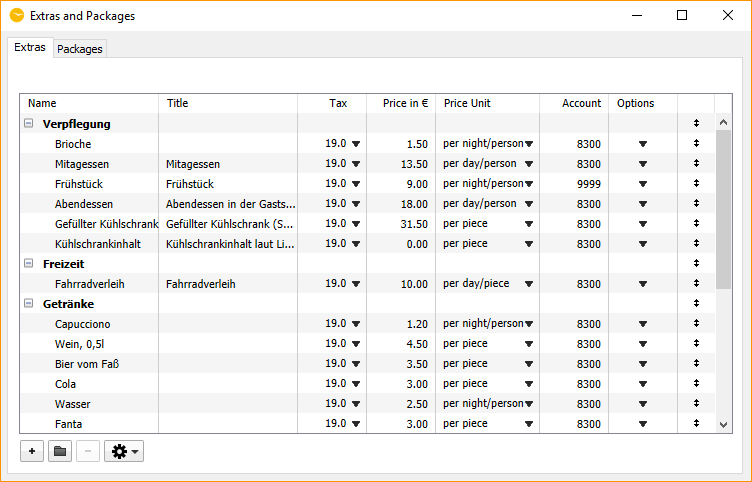 A simple analysis of extras that have already been invoiced can be carried out under the reports function. For an analysis that also includes extras that have yet to be billed, Lodgit Desk offers you a list view for each additional service (e.g. such as catering lists etc. ), whereby you may define the time period you wish to view. Ex. : create package "Wellness Special". Ex. : automatically add package "Breakfast"
Package deals are comprised of one or many extras bundled together into one package in order to be easier and faster to book, be it manually or automatically. 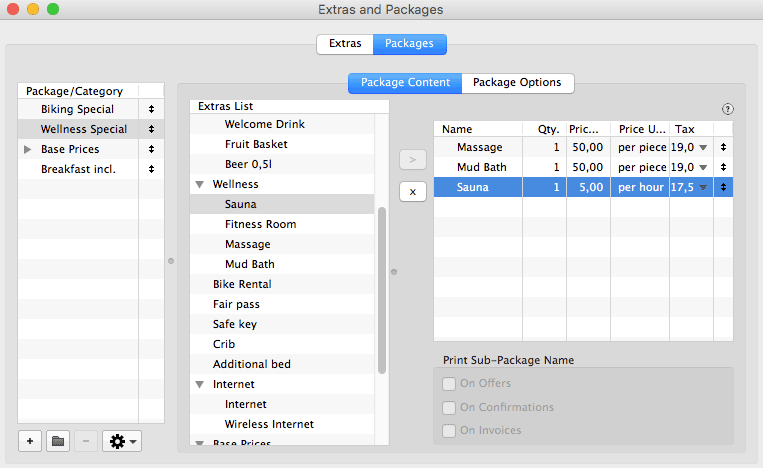 Package deals can be added manually from within the booking window much like adding individual extras. 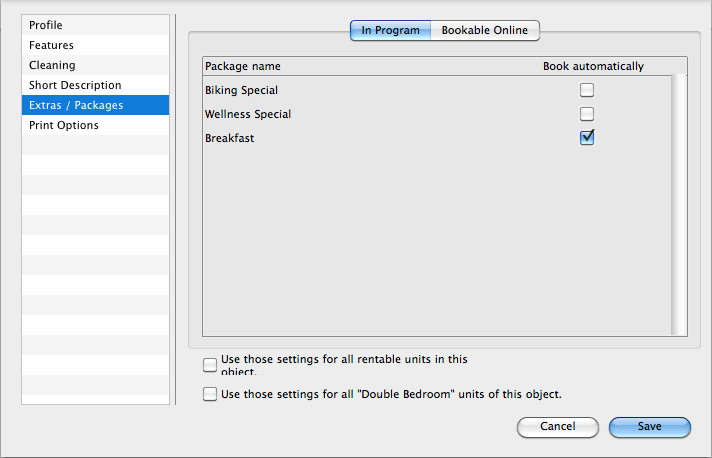 In object management, you can select specific package deals to be linked to certain rentable units, so that upon realizing a new booking, the package deal is automatically added, which is recommendable for standard services such as breakfast, for instance (see examples to the right: extra package Breakfast). Using package deals, you can also implement very popular price offers, for instance when you offer free stays upwards of a certain number of paid stays. In order to do so, you need only set the discount as an extra with a negative amount and then book the extra as a package deal, which you could name “Stay 4 nights – pay only 3”.